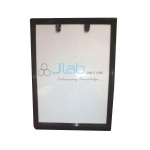 Jlab is renowned X Ray Machine and Equipment Manufacturer, X Ray Machine and Equipment Suppliers, X Ray Machine and Equipment Exporter, Hospital Surgical Equipments, X Ray Machine and Equipment India, X Ray Machine Manufacturer, X Ray Equipment, X Ray Machine Exporter, X Ray Machines Traders, Hospital X-Ray Machine. 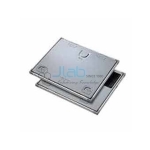 Jlab offer extremist sound and X ray Machines, that area unit appropriate for scanning and designation the superficial organs, abdomen, heart and Obstetricians and gynecologists. 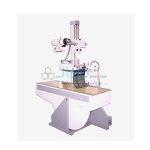 it is used for routine radio graph and fluoroscopic diagnostic procedures of the chest, extremities, skull skeletal system, respiratory system, obstetric, pelvis, vertebral column and gastro enteric track. Specially designed to fit over the eyes, model 91050 leaded failovers are an excellent choice for those requiring good splash protection from radiation. Single phase. Full wave rectified (silicon rectifiers). 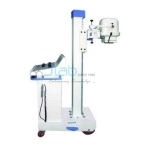 H medium powered X-Ray unit independent KV. Radio graphic output: 24Kw (AMU-300) and 40kw (AMU-500) as per IS7620 (parts). Tube filament current stabilization through constant voltage transformer (CVT). Medical X-Ray Cassettes for Radiography Available in different sizes.Unit inches & Cms. 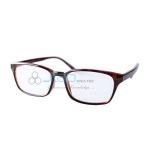 The Cassettes are designed considering the latest technology which results with improved image quality. The view Boxes designed to reduce glare and excessive heat provide with uniform illumination. Other feature include ventilation for cooling, a drip tray for wet films. 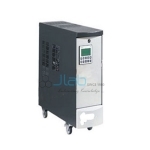 Temperature Controlled X -Ray Film Processing Unit Available in request dimensions for capacity. Temperature maintained at 20 degree Celsius. 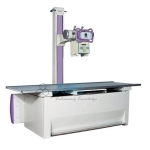 Fullwave recrification which delivers almost double the output than the self rectified X - Ray Systems. Full wave rectification with high voltage silicon rectifier for low losses and consistent radiographic results. 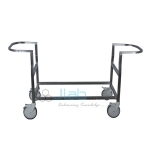 Dimensions: 79.5" (200cm)L x 26-3/4" (66cm) W x 37" (93cm)H. All Stainless Steel Construction.